- Desempatar. 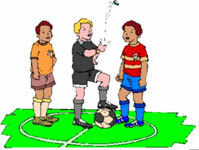 Jugar el desempate (se aplica a competiciones deportivas). - Spain and Germany will play off next Saturday.